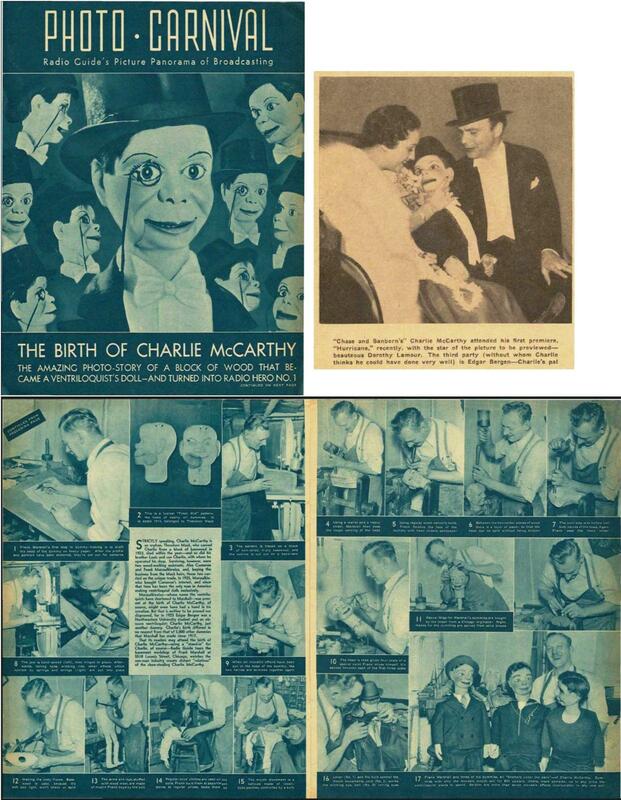 Charlie McCarthy was brought to life by carpenter and ventriloquist dummy maker, Theodore Mack at the request of a teenage Edgar Bergen. The look was based on a cheeky Irish newsboy Charlie knew. Charlie's head cost the princely sum of $35 dollars, which was a lot of money to a teenager in the 1920s. Bergen made the body himself. From the beginning, Charlie was a wisecracking teenager who didn't mind flirting with the ladies. The monocle, top hat, and evening wear added to the spectacle and made the jokes just a bit funnier. Charlie retained his engaging personality and flirtatious ways even as Bergen grew older. Charlie and Bergen began performing when Bergen was a teenager and eventually moving on to vaudeville and radio. Their first radio performance was on The Fleischmann's Yeast Hour featuring Rudee Vallee. That guest starring role lead to hosting The Chase and Sanborn Hour on radio. 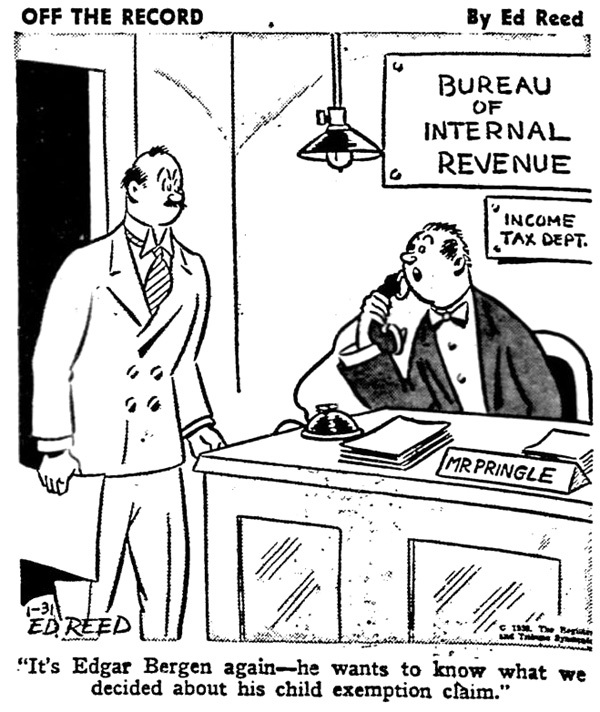 The two were on the radio from 1937 to 1956 with various sponsors. Often, the sponsor had top billing on the show but Charlie was so popular the show name was changed to The Charlie McCarthy show. In 1955, the show title was changed to The New Edgar Bergen Hour and the title remained the same until Bergen left radio in 1956. The thing about Charlie is that he was allowed to say the things Bergen could not, on the radio and in his act. The radio censors allowed Charlie to get away with a lot of double entendre and innuendo when they would not let humans get away with the same things. He was especially brazen with the ladies. He also had a long running feud with W. C. Fields with insults traded regularly on both sides with Charlie usually getting one up on the comedian. Charlie and Bergen also made several movies together beginning with the Goldwyn Follies in 1938. Their final film appearance was in 1979 in The Muppet Movie. Charlie now lives in the Smithsonian Institution as an American icon.